Multiplayer campaign/tournament: "The yugoslavian coup"
I had some idea about a little campaign project for 2vs2 multiplayer games. I researched about the yugoslavian army and created some authentic decks in the most possible way. explained in the 'Background story' (for balancing reasons and lack of MIG29's with a good enough loudout). If 4 of you guys decide to try this campaign, feel free to give some feedback about the 'campaign-mechanics'. In commen - this campaign will be challenging. Secondly, in war - you should be flexible and handle situations. 'campaign-mechanics' (which will be explained in the section 'Rules & Setup'). Or at least find a way to controll via replay the deck setup, by for example a neutral person who can check it. It will be played on 4 maps on the two game modes, 'destruction' and 'conquest'. The soviet team will win, if they win on the 4th map. The yugoslavian team will win, if they can win on the starting map. The maximum number of games will be 7. The team which was winning 4x, regardless of territory progress, will win. The deck setup for every map must be followed, other cards than from the origin deck system are not allowed. Team Soviets are winning the first map. 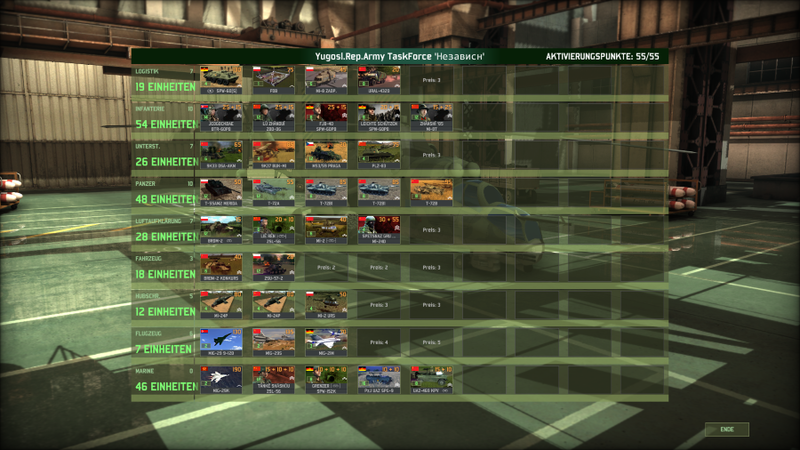 Before the second map, they must delete 1 card of the logistic category. Its up to the soviet team, which card they delete. in the deck setup (Task Force). Each team must delete or regain the same card(s). Team Soviet must delete 1 card of the plane category. They decide to kick out the SU-24 SEAD. So, BOTH soviet players have to kick out their SU-24 card(s). The same rule is in power by regaining a card (also the veterancy status of this card). Every map setup will be (off course ) Redfor vs Redfor. til there is a winner. Josip Broz TITO, the former WW2 hero of the Balkan and leader of the afterwars united Yugoslavia is since 8 years dead! outside, heavily under communist influence. Yugoslavia, a country with different ethnologies, was also one of the founders of the U.N. In the beginning 80's a new spirit rolled over the East-Block countries, not only in Poland. The people wanted change after years of bureaucracy in the fixed hardware of the socialist life. But with it, also on some, since the centuries, unclear situations like in Yugoslavia woke up again, too. The different peoples of Yugoslavia claimed for more autonomy in the parliaments. There were croats, slovens, macedonians, some albanian and the serbs, next to the roman-catholic church, the orthodox believing and the moslem minority in mostly Bosnia. Slobodan Milosevic, a communist since his youth and the leader of the yugoslavian communist party since 1986, had to struggle with his heritage. In September 1987 Slobodan Milosevic, who tried to hold up the country, could not succeed in his attempt for a regime-change against the president Ivan Stambolic. 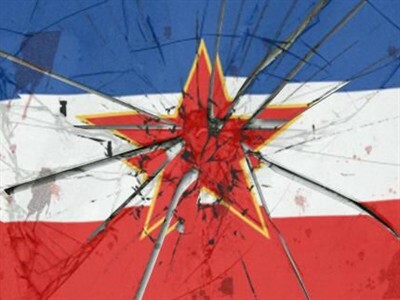 Milosevic's star after his failed venture, was to be going down on the political sky of yugoslavian political stage. Some armament trade agreements over the modernisation of the yugoslavian republican army were made. It didn't took long and primarily the bosnian politician Izetbegovic and the croatian politician Tudjman came up with allegations, that only serbian units of the republican army were educated on the new equipment.Now the president, Stambulic, serbian by himselfe, supported open the front against Milosevic. A long political conflict were cutting the parliament now in halfes, what went even down to the normal man on the street. Milosevic was the first, who spoke about a "conter-revolutionary virus" and some "nationalists in Zagreb". In spring 1988 the temperatures were increasing fast and Milosevic was going to loose his political fight to stay and even gain eventually power. In demonstration of his power, he collected masses of his serbian-communist followers in Belgrad and first riots in the capital city between serbian-communists, minorities and the police broke out. Many civilians of all ethonogies, ages and sides died this days and the chaos went over to some other cities. As the state of emergency was called out and in power, the communist party had to face with hard image losses and Milosevic was called guilty at this desaster. The non-serbian politicians saw their believing now confirmed, among the established system of Stambolic and tried to catch Milosevic in some night by secret police. Cause of his followers, he was able to flee in the Soviet embassy and were flown out in the USSR. Several months later, in sommer 1988, the yugoslavian administration reformed the state-socialism, tried to open their selfe up to the West and increased the autonomy for nearly every region in the Republic. This went so far, that Italy offered Slovenia the test-membership of the European Economic Union, if they would leave the Republic. 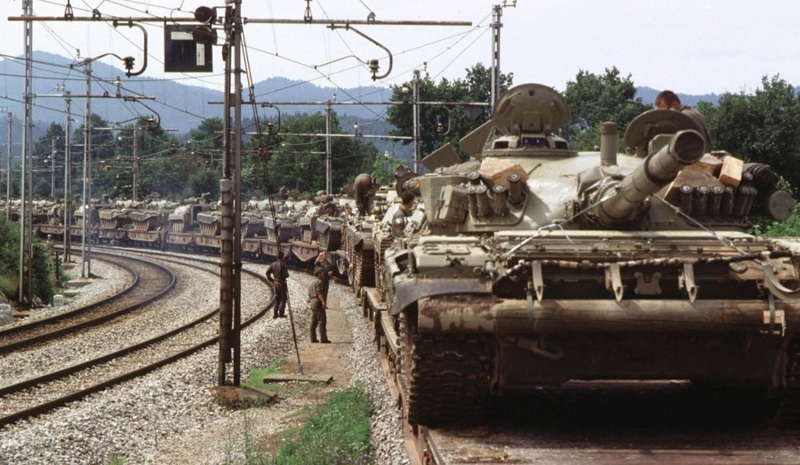 A new conflict appeared in the yugoslavian public and the still in emergency state existing troops of the army, were send to Slovenia for some show off. The time for a comeback of Milosevic was near as he intrigued from his exile about the "harsh methods of the counter-revolutionists". In the public, Milosevic were speaking more often now from the "slavic brotherhood and that he will restore the communistic party and Yugoslavia at all, that no region will be ceeded. About the half of the yugoslavian people were thinking the same, for them the changings of the last months came to fast and a lof of them saw the ruling administration as traitors. Stambulic, Tudjman and Izetbegovic began to build up some Task Force from the Yugoslavian Army. With not more than 10% serbs in it and the delivered modern military equipment. will be part of the Warsaw Pact. 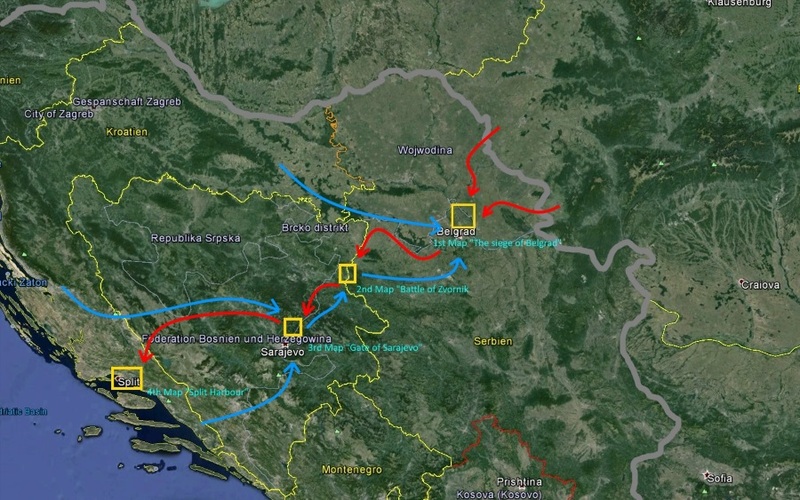 The military analysts were saying, that if the serbian population and areas could be secured, the fall of Yugoslavia in direction West would end. ....but this, so the analysts, has to be done fast, before the West or anybody can react. And nobody, specially the Red Army needs a 2nd Afghanistan at the moment! During the Task Force of the yugoslavian administration is moving to Belgrad, soviet troops crossing in the morning the romanian-yugoslavian border in direction Belgrad. My idea was to picture here some possible conflict between some superpower and some near-eastblock country like Yugoslavia. Off course this is asymetric for the national USSR deck and the mixed REDFOR deck of Yugoslavia (both are '85 decks). to compensate their 10 more points in availability and the light better tech in comparison to Yugoslavia. Also I wanted to show, that in the beginning, the Red Army have by nature a better chance than the Yugoslavian Republican Army, but later they will have to struggle with logistical and other problems. Remember - each team has the same 2 decks! Remember - this is what is given to you by the High Command, dont change it! "Nuclear Winter is coming" or "The siege of Belgrad"
As the supply lines from Hungary and Romania are now extended, more supplies are used to keep the Soviet Task Force up! "Jungle Battle" or "Battle of Zvornik"
a) Yugoslavia wins "Battle of Zvornik" = for "The siege of Belgrad" team Yugo has to delete 1 infantry card, team Soviet get their logistic card back. As Yugoslavia lost Belgrad before, a lot of serbian soldiers are deserting, cause they dont want fight against their home city and their slavic orthodox brothers. b) Sovietunion wins "Battle of Zvornik" = for "Gate of Sarajevo" team Soviet still has the -1 card of logistic malus and must choose now between -1 infantry card OR -1 plane card malus. 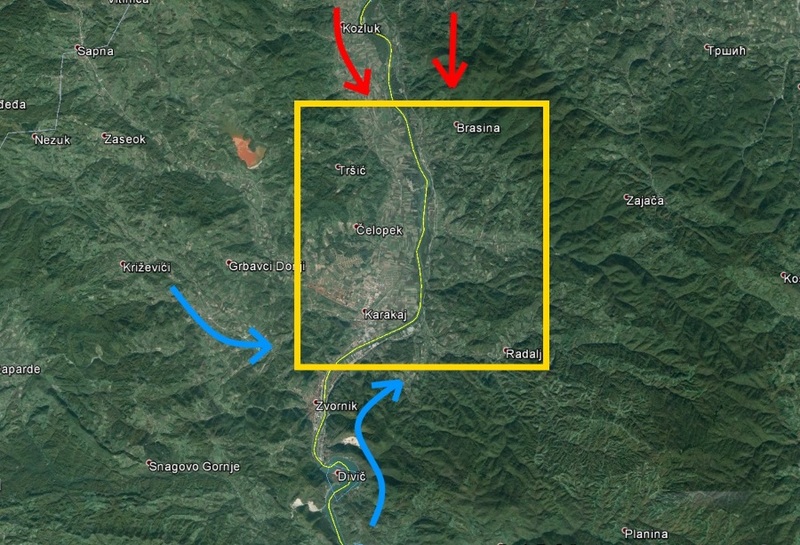 The supply routes are still overstretched and the Soviet Army Command must decide if the want secure the Belgrad airport and region with man on the ground, of let the planes operate from Romania which is more far away and cost effectivity of the airport there. 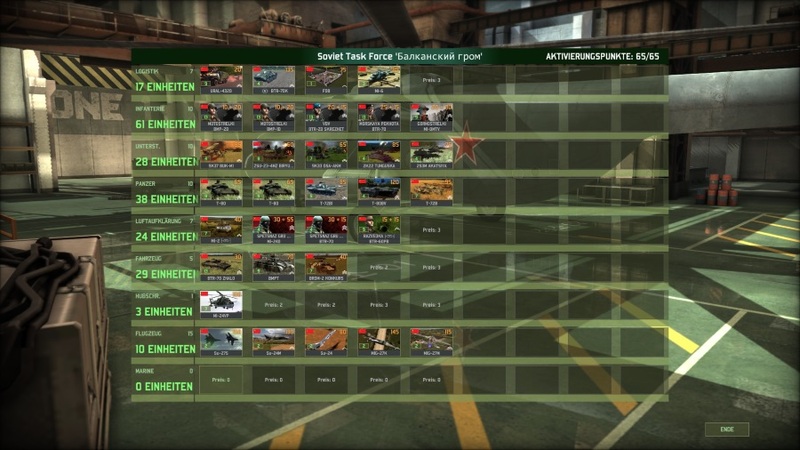 "Cold War Z" or "Gate of Sarajevo"
a) Yugoslavia wins "Gate of Sarajevo" = for "Battle of Zvornik" team Yugo goes with -1 vehicle and additional on the 2nd&more possible battle with -1 infantry card. Communist militias and serbian sabotage groups could manage to destroy a convoy of these vehicles in the mountains and further deserters in Bosnia by serbian ethnological soldiers. b) Sovietunion wins "Gate of Sarajevo" = for "Split Harbour" team Soviet still has the -1 card of logistic, still the -1 card of plane OR infantry and an additional (second) -1 card of planes. 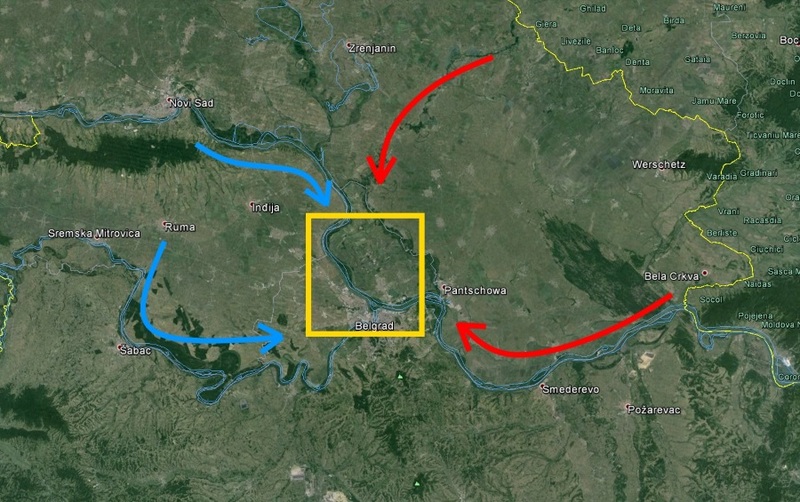 The supply routes are on their limit, the Soviet Army Command must decide if they want secure the conquered airport in Belgrad or bring the airport in Romania to its limits, which will cost effectivity of the usable planes. It can not use any naval cards, as the Black Sea Fleet is blocked in the Black Sea by the NATO-countries Greece and Turkey. The central committee in Moskwa does also not want spread this conflict out. "D-Day in Paradise" (! naval version !) or "Split Harbour"
a) Yugoslavia wins "Split Harbour" = for "Gate of Sarajevo" no effects by cards. The rebel yugoslavian republican army could mobilise everything from the yugoslavian states of Slovenia, Croatia and parts of Bosnia. Near the coast, they have access to the croatian coast border garissons. Soviets -> "Belgrad" = all cards! -> "Zvornik" = -1 logistic! 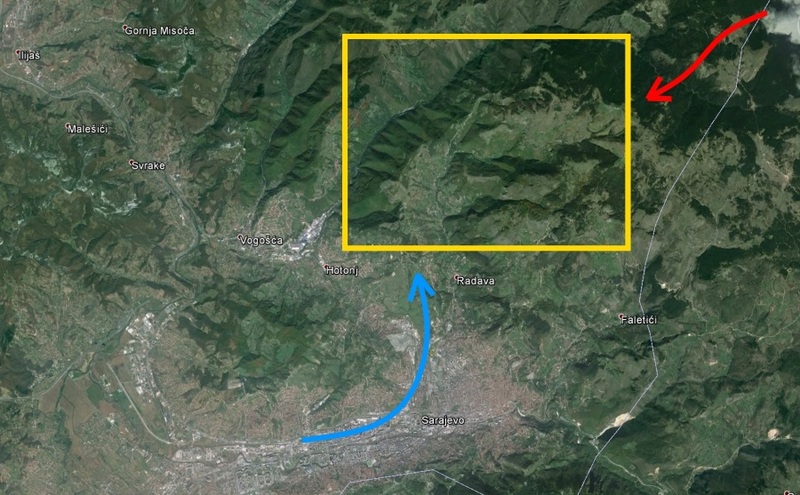 -> "Sarajevo" = -1 logistic, -1 infantry OR plane! -> "Split" = -1 logistic, -1 plane, -1 infantry OR plane! Yugos -> "Belgrad" = all cards and 2nd/more = -1 infantry! 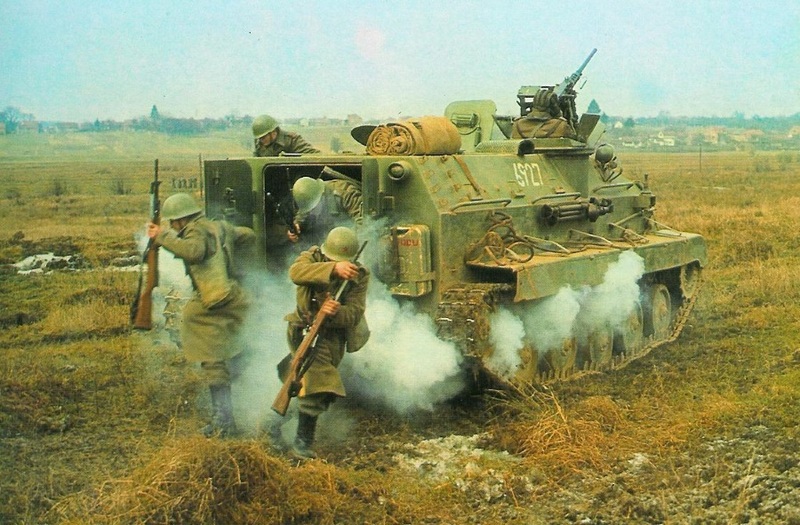 -> "Zvornik" = -1 vehicle and 2nd/more = -1 vehicle, -1 infantry! -> "Sarajevo" = all cards! -> "Split" = all cards + naval cards! If 4 guys are interested in it, I would like to watch the sended replays and check it with the deck-setup's which were posted before each game. Last edited by K98-Schütze[GER] on Mon 5 Oct 2015 14:33, edited 2 times in total. 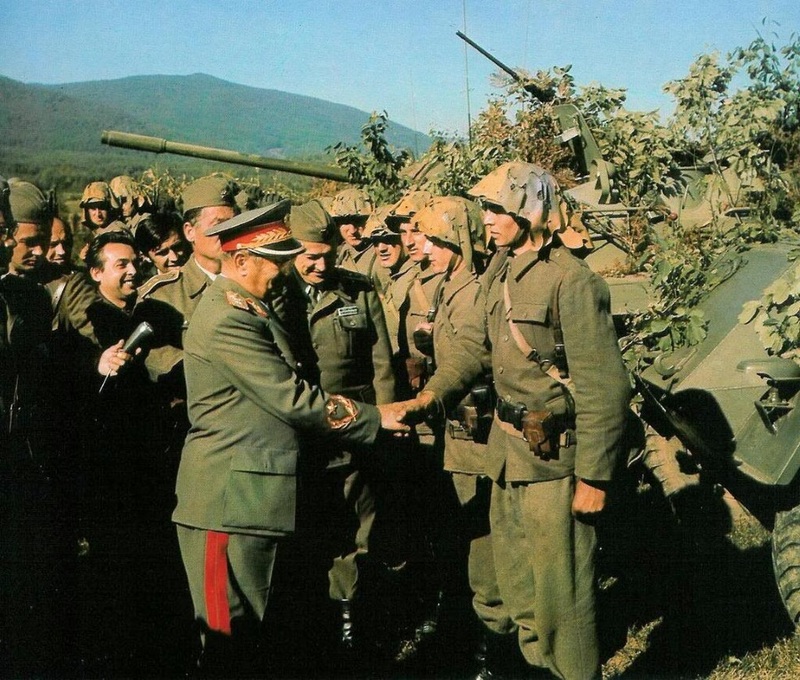 Re: Multiplayer campaign: "The yugoslavian coup"
It was fun to create it! Re: Multiplayer campaign/tournament: "The yugoslavian coup"
Hey, I volunteer to save my homeland from Soviet invasion. I always thought that Yugoslavia is an excellent campaign setting. I always felt sorry that it wasn't setting for any Wargame scenario. I also always wanted some sort of more "immersive" online matches, co-op multiplayer campaign (player vs player) or something like that. I have also created a YU general deck and used it in skrimishes vs AI, unfortunately it is not competitiv for real matches. This would be interesting, although as I ponted out in another post, BUKs were never used by Yugoslavia, we did have KUBs, and NEVAs. Also you might want to think to add something along the lines of albatros to represent light CAS aircraft yugoslavia produced like Galeb and J-22 Orao. With or without suggested changes I would like to play. Some response - as I was after all this months not believing I'll get some! With the BUK's I know, but for the sake of balance I decided to bring in for Yugoslavia. Also, with the alternate history line its reasonable enough. Well, we could try the MIG21's for you and see after the first game how are they doing for you. Well, you know - its 4 maps minimum in a row and maximum 7 games til the war will be over. Originally I laid it out, for a 2vs2, but I think we are alone - also fine. If you dont mind, I would record the hole "war" and upload it on my little channel, perspectivly from the soviet side. I can also offer some TS channel(s), so we can speak exactly. For example - tomorrow I will have time nearly all day.